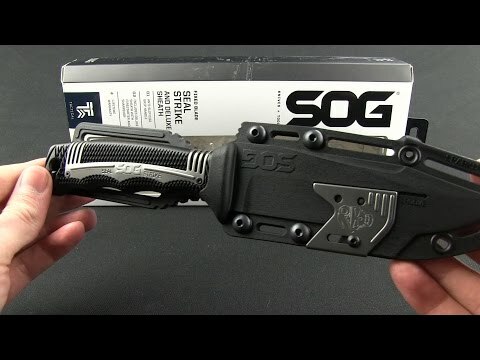 Joining the ranks of the SEAL fixed-blade knife family, the SEAL Strike takes everything SOG has learned from years of real-world deployment and combines it into one spectacular package. This quality AUS-8 stainless steel, partially serrated blade is an excellent field companion for outdoor and underwater adventures. 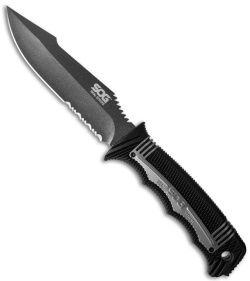 The SEAL Strike is serious business and carries on the tradition of supplying the world's elite military forces. 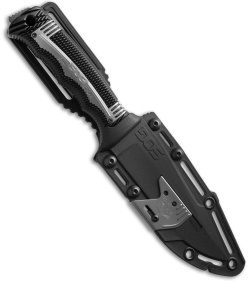 It comes with a standard hard nylon sheath or a deluxe model with built-in cord cutter, single-stage sharpener, and larger attachment points. Be at the ready with the fully capable SEAL Strike.